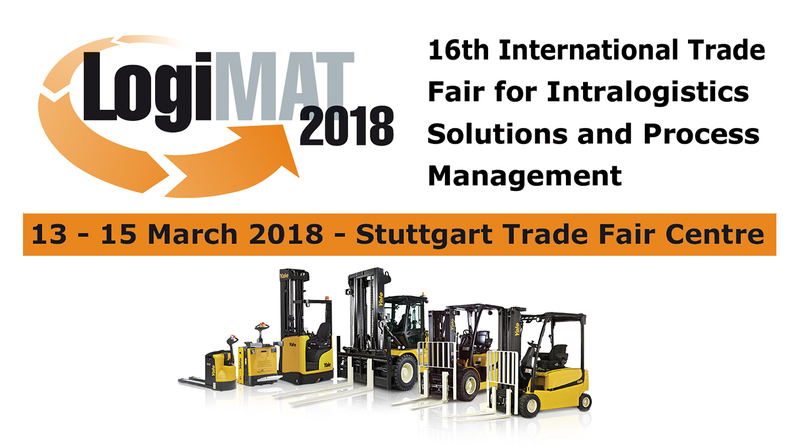 As part of its ongoing commitment to the philosophy of ‘SME for SME’ (mid-sized dealers for mid-sized customers), Yale Europe Materials Handling exhibited the future at LogiMAT 2018 in Stuttgart. Visitors to Stuttgart were able to view and enquire about the lithium-ion battery options for Yale solutions. Using lithium-ion batteries can enable the use of a truck over two to three shifts. The balance of performance, manoeuvrability and battery shift life can be customised to the application needs, increasing productivity and throughput. As part of the company’s investment into the future, hydrogen fuel cell technology was also a focus for Yale at LogiMAT 2018. For the first time, Yale displayed the prototype hydrogen fuel cell battery-powered ERP20VF four-wheel counterbalanced forklift truck, allowing visitors to see and understand how fuel cells can offer the performance of ICE trucks with the environmental benefits of electric trucks. This entry was posted in 4 Wheel Electric Trucks, Automotive Industry, Batteries and Chargers, Design Process, Electric, Events, Food Sector, Internal Combustion Trucks, Lithium-ion, Manufacturing, Pride, Warehousing and Distribution and tagged ERP20VF, Hydrogen Fuel Cell, Ian Melhuish, Lithium-ion battery, lithium-ion power solutions, LogiMAT 2018, SME for SME, Stuttgart, Yale Europe Materials Handling. Bookmark the permalink.